I use to suffer with severe anxiety about 2 years ago, and from time to time I can feel it act up again. There are numerous reasons I can feel it pop up...if I'm not eating healthy, if I'm not working out, if I'm stressed, if I'm not sleeping enough, the weather, around the time of the month, or if a full moon is near (I'm not kidding about the last one). So it can be a constant battle sometimes, but keeping myself healthy is the biggest way to handle my anxiety. I will admit I haven't been eating so well, theres a full moon tomorrow and I'm feeling so dull with this weather. I woke up at 6am this morning in full anxiety, panic mode and I knew this morning it was time to pound the pavement. Although running in the winter can be brutal with ice and snow, it is truly the most therapeutic. The fresh air, flushed cheeks and battling the outside obstacles, makes it the best kind of workout. Running is truly my therapy. This was exactly what I needed this morning, and you best believe I'm making this part of my daily routine from now on. I'm totally agree with you!! 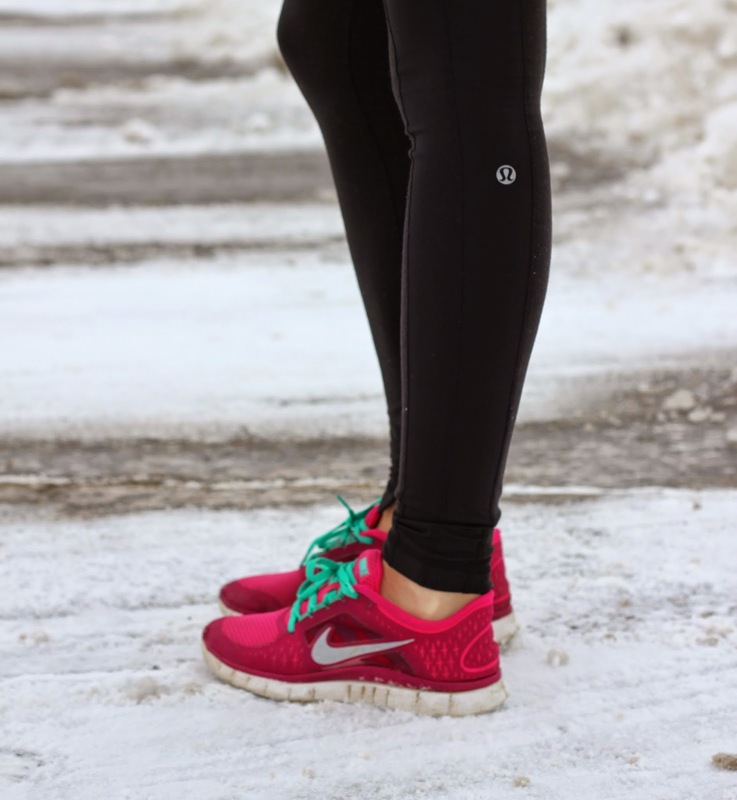 Are you not cold to run in snow without socks?